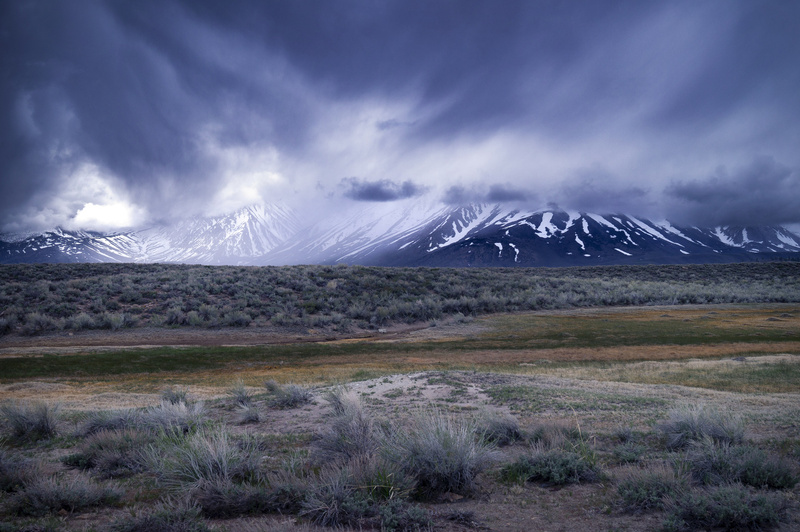 An early summer storm blew in the last day we were camping along the Eastern Sierra in the Mammoth Lakes area. With sunny skies just the day before, we woke up to mild snowfall which turned to hard rain at lower elevations. While meandering around the hotsprings of the Long Valley Caldera, a break in the rain granted us with this view.